Lissa is on Canoe Kayak Canada’s Sprint Kayak team. Hear why the HPC works for her intense training. Tim is a faculty member at Carleton. An injury landed him at the High Performance Centre. Listen to his journey to recovery. Your team or organization can benefit from the knowledge and expertise of the HPC strength and conditioning staff. Book team training sessions for in-season or off-season training, no matter what the sport or activity our certified staff have the tools to develop scientifically based strength and conditioning programs for your athletes. These team training sessions will include scientifically based training programs and elite level coaching from the HPC staff. Team testing and performance evaluations can also be provided to outside teams and organizations at an additional cost. Whether you are looking to maximize your potential in-season or stay ahead of the competition in the off-season we can provide you with the expertise to ensure your team and your athletes are getting stronger, faster and avoiding unnecessary injuries. ** An initial and follow-up team testing session will be included for all purchases of 10 or more team sessions. There are a variety of individual athlete memberships available at the HPC. Prices vary based on the length of your membership, as well as the number of days that the athlete wishes to train each week. Memberships 3 to 5 days per week include a comprehensive individual assessment including, anthropometric measurements, functional movement and manual muscle testing and performance testing designed to measure the attributes necessary for each athletes chosen sport. Individuals looking to purchase a 1 or 2 times weekly membership are required to pay a $50 assessment fee. The athlete will then be provided with an individualized strength and conditioning program based of the strengths and weaknesses derived from their initial evaluation. Our qualified staff has the expertise to help you reach your goals, whatever they may be. Individual membership training times are subject to availability. Please contact for current available training times. For athletes that are not from the Ottawa area or who can’t make it to the Carleton University HPC on a regular basis for training, we offer take away programs. Each take away program includes a full assessment, and an individually designed program. A one hour follow up session to coach the athlete through their new program is also included. Interested in getting started in your fitness journey or have you been wanting to increase your knowledge to improve your training experience? Our High Performance Centre courses are designed to help individuals improve the efficiency and effectiveness of your training. Whether you consider your training at a beginner, intermediate or advanced level our coaches will work with you to improve technique and break through training plateaus. Experience the benefits of small group coaching in our unique High Performance training environment. 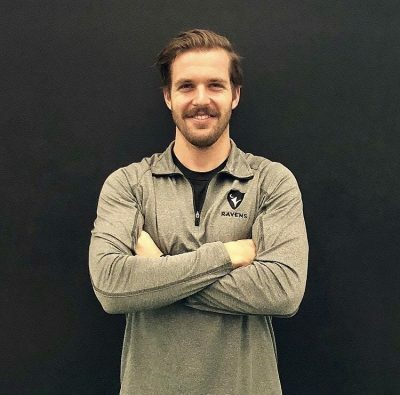 Have worked with a plethora of athletes from NHL, KHL, CFL, ECHL, OHL, NCAA, CIS, national team athletes for various countries, as well as professional and amateur athletes participating in various sports. 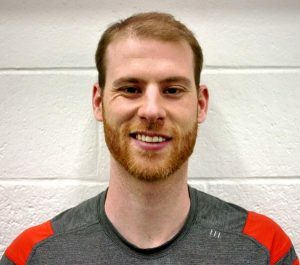 James lives and breathes athletic performance and coaching; having travelled around the world developing his craft through a variety of sports and skill levels, his athletes experience results by design, not coincidence. While drawing on past experiences and tricks of the trade, he is also firmly committed to continued education and progressing the profession.